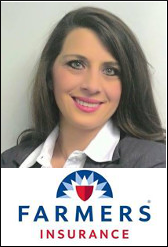 Tanessa Jones is a leading insurance agent in Odessa, TX. Her specialties include various types of insurance such as: auto, home, renters, business insurance and more. She is highly experienced as an agent, with over nine years of involvement in the local industry. Tanessa always puts her clients first and aims to provide the protection they need for themselves and their loved, at affordable rates.